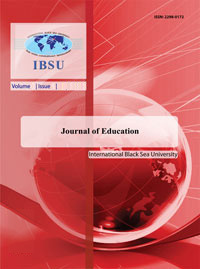 The IBSU Journal of Education is an official multi-disciplinary peer-reviewed scientific journal of the Faculty of Education and Humanities at International Black Sea University. IBSU Journal of Education annually publishes scholarly works in the field of: English Philology, Education Management, English Language Teaching and Education Sciences. 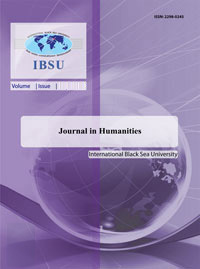 The IBSU Journal of Humanities is an official multi-disciplinary peer-reviewed scientific journal of the Faculty of Education and Humanities at International Black Sea University. IBSU Journal of Humanities annually publishes scholarly works in the field of: American Studies and Turkish Philology. The Journal of Social Sciences (JSS) is an official scholarly referred multi-disciplinary and peer-reviewed scientific journal of the Faculty of Social Sciences, International Black Sea University, issued twice a year, (spring and fall issues). The Journal has been successfully published since 2012 academic year. The Journal of Social Sciences publishes scholarly works in the field of social sciences concentrating on political, social, economic and legal issues. The aim of the Journal is to analyze different issues and provide readers with new perspectives on topics in social studies. This is achieved by publishing innovative, thought-provoking and analytical articles in diverse fields. 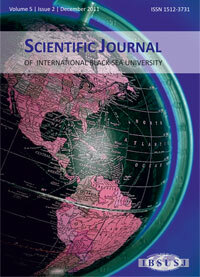 The Journal welcomes all professors, researchers, M.A. and Ph.D. candidates to publish scientific works in their field of interest. The journal has successfully been accepted to the Open Academic Journals Index (OAJI), International Scientific Indexing (ISI), Academic Resource Index, Scientific Indexes Services (SIS) and the JIFACTOR in 2015 academic year. Journal of Technical Science and Technologies (JTST) is an International Peer-Reviewed Academic journal publishing articles in a large variety of technical science, including mathematics, physics, biology, chemistry, information technology, and engineering. JTST publishes the results of original sciemific research in all these fields of technical sciences and focuses on new achievements and applications in these areas. 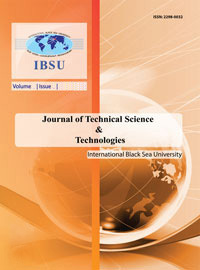 Journal ofTechnical Science and Technologies (JTST) aims to foster international exchange of ideas and experiences among scholars and practitioners with shared interests all over the world. The journal is of interest to researchers at both scientific and research institutes, as well as academic and research staff of universities. Submissions are refereed anonymously. The journal is published biannually. Journal of Business (JB) is an official scholarly referred multi-disciplinary peer-reviewed scientific journal of the Faculty of Business Management of International Black Sea University issued biannually. Journal of Business publishes scholarly works in the field of business activity concentrating on theoretical and practical issues including cases of business experience. The aim of the Journal is to analyze different issues and provide readers with new perspectives of business studies. Journal of Business welcomes all professors, researchers and practitioners to publish scientific theoretical works and cases of practical activity in their field. Its purpose is to bridge diverse communities of scientists and businesspersons, and provide information and debate on subjects of interest. The Journal is a scholarly refereed multi-disciplinary scientific journal committed to publish scientific papers in legal and social sciences, economics, history, linguistics and literature, engineering, mathematics. The Journal strives to be inclusive in scope, addressing topics and issues of significance to scholars and practitioners concerned with diverse aspects of related area.